Covering over 800,000 square miles between Alaska, Siberia, the Bering Strait, and the Aleutian Islands, the Bering Sea has an upwelling of cold water that replaces the warmer surface water, with temperatures staying below 54 degrees. The Bering Sea is home to over 450 species of fish and invertebrates, 50 bird species, and 25 species of marine mammals. At the Aquarium, you can join us on a journey through the Northern Pacific—home to the adorable otter and the mysterious giant Pacific octopus. 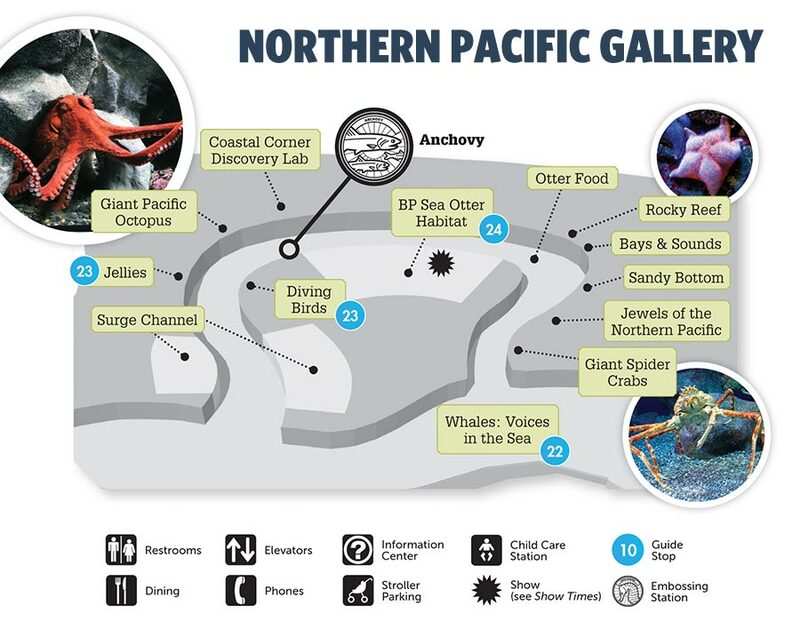 The Northern Pacific Gallery features 16 exciting exhibits, including the Northern Pacific Preview, Surge Channel, several species of sea jellies, and others. 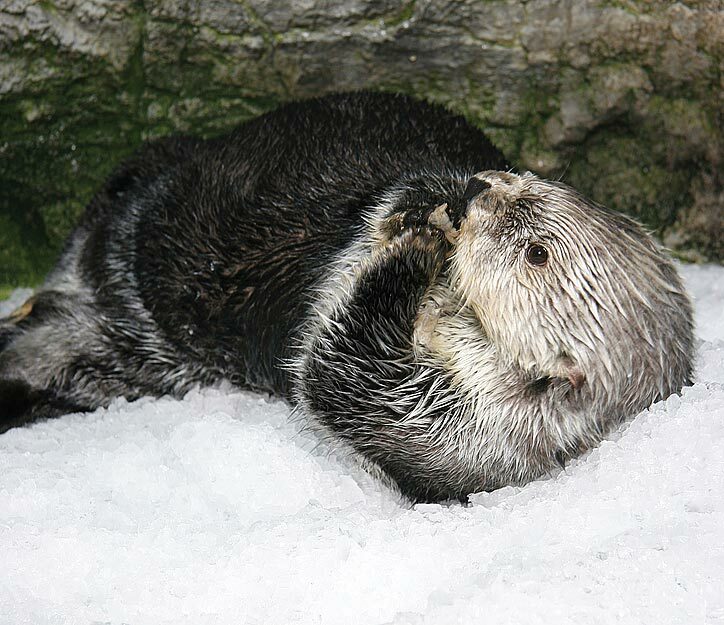 Our Sea Otter Exhibit is home to four of these amazing marine mammals that are native to the chilly Pacific waters. Guests are captivated by their constant rolling motion in the water, which serves to keep their lush under-coat dry and their bodies warm. 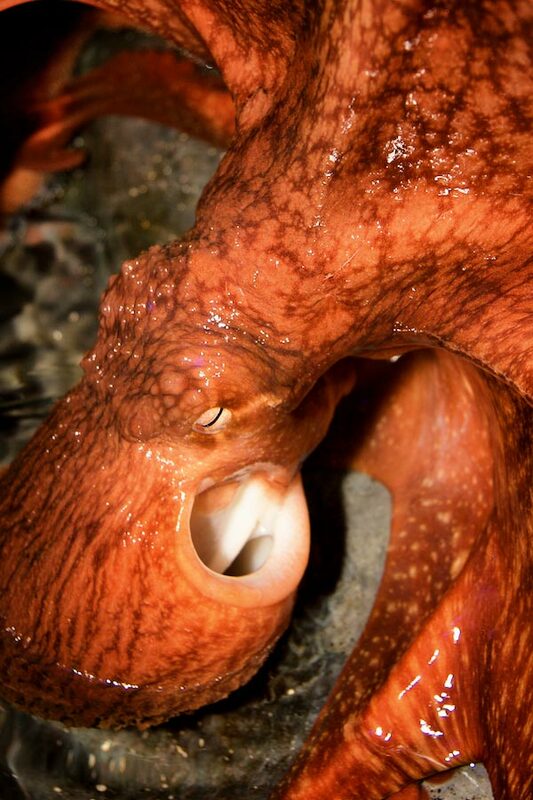 This gallery also displays our elusive giant Pacific octopus. 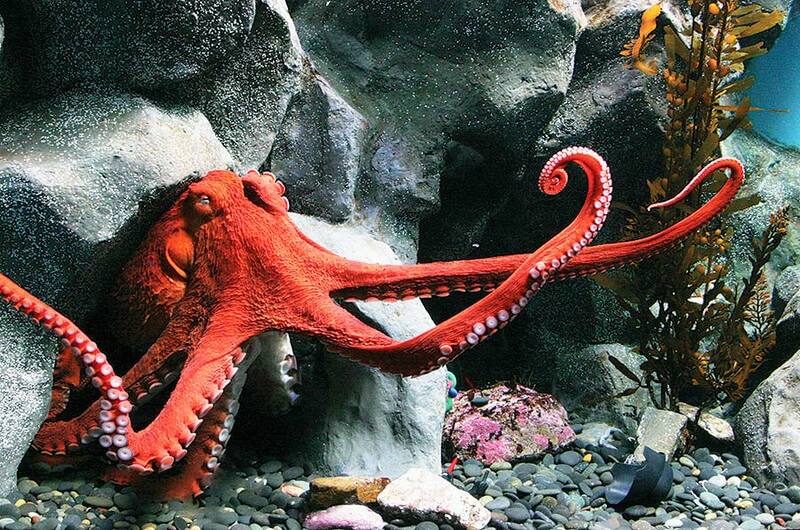 The largest species of octopus in the world, these intelligent and mysterious creatures grow to over 20 feet (6.1 m) and may weigh more than 100 pounds (45 kg). Living on remote mainland cliffs and islands along the Northern Pacific coast, puffins and auklets build their nests in rocky cavities and crevices during the summer months. Otherwise, these seabirds spend most of the year at sea. Our popular Diving Birds Exhibit gives visitors a rare glimpse into their amazing diving ability. Come enjoy these sights and more, without subjecting yourself to Northern exposure! The Aquarium of the Pacific’s Sea Otter Habitat is modeled after California’s Central Coast, the native environment of our sea otters. 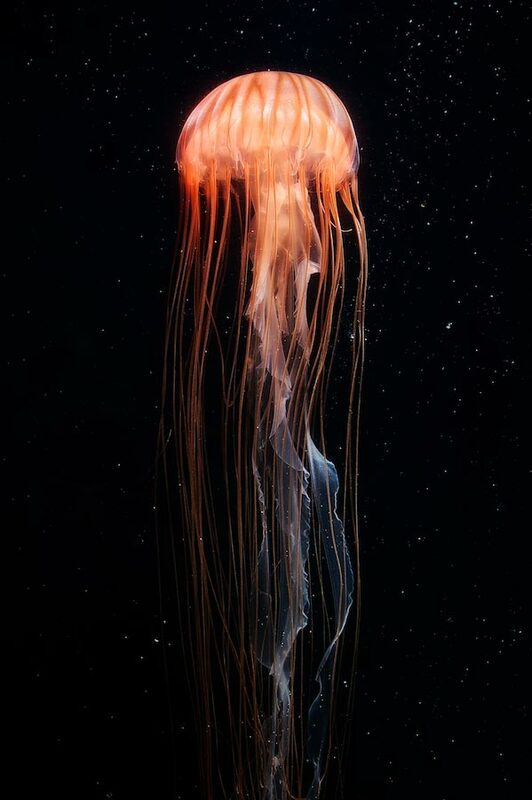 Found along the coasts of California and Oregon, these sea jellies feed on small fish and plankton that come in contact with the jellies’ stinging tentacles.